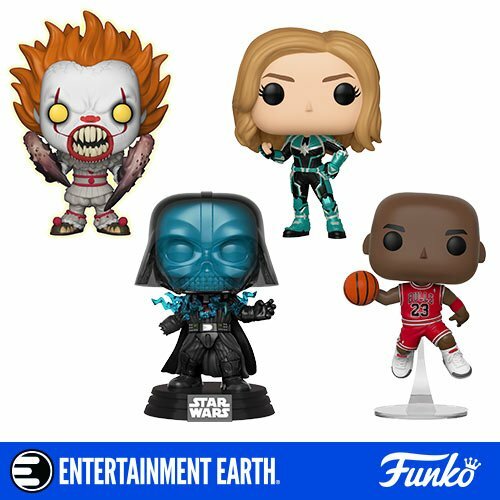 Quantum Mechanix (QmX) are a company that releases collectibles based on various pop culture franchises. One of their coolest series is their DC Q Fig line. Done in a chibi (small child or short person) style, these are extremely cute and playful takes on DC heroes and villains. One of the first releases from this line (and currently available) is the Amazon heroine Wonder Woman. This tiny statue comes in a really nice looking box. You can see the the figure through the clear, plastic opening (above). The figure is inspired by the classic Justice League look of the character. The above shows the drawn take on the figure. It clearly captures the mix of cute, cartoon, and comic-book heroine. On the back we get to see drawings of two other figures available in the collection: the Man of Steel, himself, Superman and Batman's love interest/ sometimes nemesis Catwoman. Another side of the box has Wonder Woman's insignia/ logo. The top of the box has the Q Fig logo and her name. Taking her out of the box, we see that she comes with an erasable marker, more on that later. Cardboard with her logo that serves as a background for the above plastic casing. Make sure you write something short, and that your handwriting ain't horrendous (as mine is) so that it will all fit and is legible! This is what it actually says. I am fine with this and decided to keep mine as is. The detail on this figure is great. While, seemingly simple and cute there is a lot of care that was put into her. In particular in her hair and the super cute and cool invisible jet toy she is holding. That might be my favorite feature of it. It's just such a fun and adorable feature! I also love her big, blue, cartoon eyes and playful smile. In short this is a wonderful looking and fun little statue that will look great in your DC/ superhero collection. And, retailing for about 15 bucks, it's a steal! In short (pun not intended), I highly recommend buying her. I am so happy that she is part of my collection, as she brings a smile to my face every time I look at her.